Koh Mat Sum (Koh Madsum) is a small Island next to the bigger neighbour Island Koh Tan (Koh Taen). It is located only a few minutes from the south costs of Koh Samui. 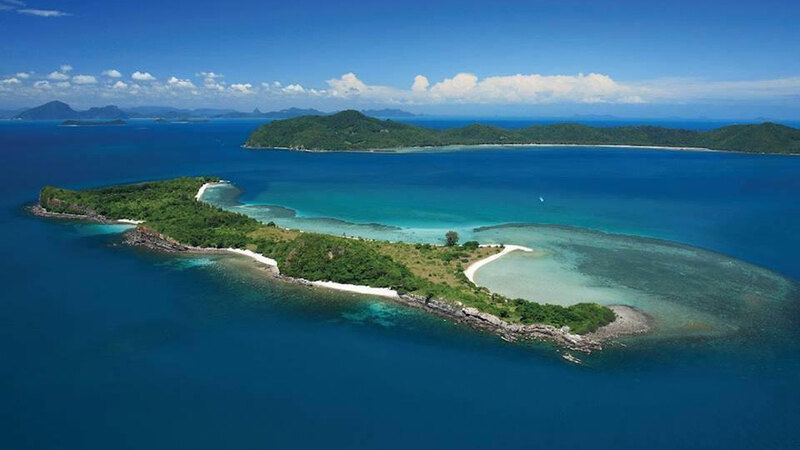 Both islands belong to the Archipel of Samui (Mu Koh Samui) which includes almost 60 islands. The good thing about Koh Mat Sum und Koh Tan is, that it is not that touristic as the Anghton National Marine Park. Only a few tour operators offer trips to go there. Koh Tan is a quiet unspoilt Island with a quiet rocky coast which makes it a lovely paradise for snorkelling. You can see many corals and colourful fishes. If you are lucky, you can see some small Barracudas. There is a small village with around 30 inhabitants in this island. The nature is pretty untouched and you can see many animals in the jungle. Koh Tan has three mountains and the biggest one is more than 200 meter above sea-level. Koh Tan is known throughout the region as the island with no dogs. According to local legend, any dog that has been brought to live there, has quickly gone insane, but luckily the locals seem not to suffer the same fate. Koh Mat Sum offers some empty white sandy beaches, where you can relax. There is one small restaurant on this island where you can rent a Kayak as well. A long sandy beach is famous by the local Thai tourists for picnics, and there are often groups of students camping on the beach or singing songs around campfires. It is a good spot to join the locals on a „tio”, (Thai: day). The Siam Residence Boutique Resort is offering a Private Longtail Boat Tour to Koh Mat Sum and Koh Tan. You can enjoy the lovely island in total privacy on your boat. For more information, please do not hesitate to contact us.